Boundary layer is a very thin layer of air attached to the surface due to viscos characteristics of air flowing over it. As the airflows over the wing, at certain point the boundary layer start to break away from surface and this point is known as transition point. 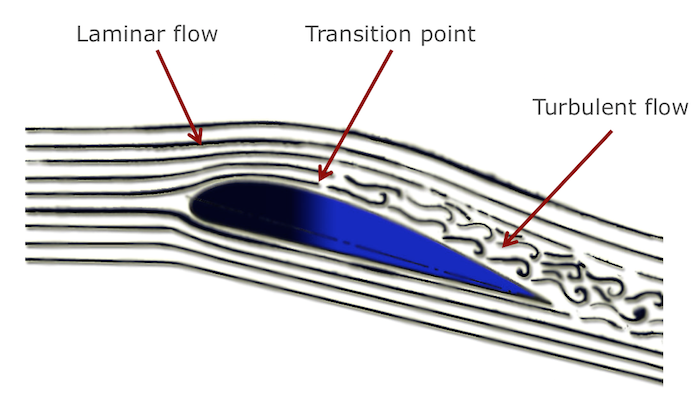 The airflow behind the transition point becomes turbulence and increases drag. Smooth surfaces moves the transition point further back and delays the separation of airflow. When the flow becomes smooth and streamlined, it is know as laminar flow. The point at which the Laminar flow becomes Turbulent flow is known as Transition point. As the angle of attack increases, the transition point moves towards the leading edge. 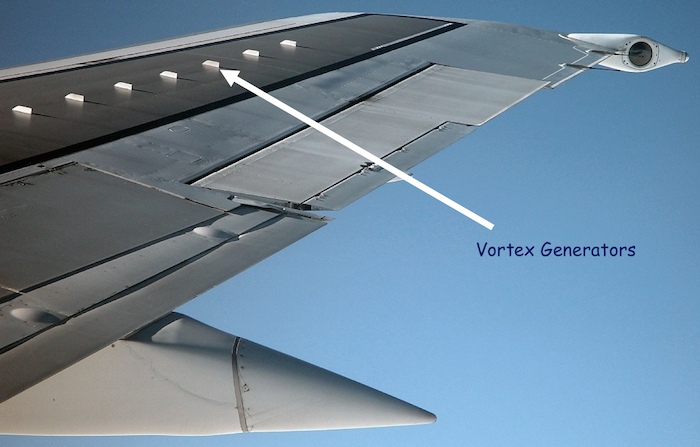 Vortex generators are used to energise the boundary layer thereby the delay the separation of airflow from the surface.